Greetings Beloveds, all my precious children of Light and Love Everlasting. You are so precious to me. You are such holders of Light and Love. You are magnificent in the scope you span now, in as far as your reach to many many hearts that need your Love. And you serve in my name and in my care and with my example as you spread your Love far and wide. There is no doubt that Peace will prevail, dear ones. There is no doubt that you will continue to carry that torch high and with your eternal Grace, my beloved children of Light and Love and Peace. I adorn you now with my Love and my steadfast Faith in Love Everlasting. In Love Eternal. In Magnificent Grace and Compassion that you hold deep in your hearts now, more than ever. That cannot help (to) be felt in all the world, in all the Multiverse. And it IS felt, and it IS held high by many many more, now that you have not given up or forsaken your mission, dear precious Hearts. I adorn you with my Love, yes, and I hold you close to my Heart, and I am a part of you all now. I hold you closely to my Heart as you hold me in yours and together we are reforming the world, we are transforming the world, and never has there been as much progress. You have taken the torch of Freedom and Love and wielded it for all to benefit, and for that we are utmost grateful here in the Higher Realms. And soon we will not be able to differentiate your energy from ours because you are absorbing so much Light and love, and rising in such elevated frequency, that you are feeling more and more at home in these higher realms from which we of the Celestial Realms speak. The transformation of the world that you hold in your hearts is becoming Reality the more steadfastly you hold it there. So let no one tell you that you are not making a difference. Let no one show you otherwise. Let nothing get in your way of spreading this glorious potent energetic Presence or Signature that you are each attaining and developing with your acceptance of all the volumes of energetic offerings coming from On High – a Presence that is like no other, and together you form a massive glowing ball of light expanding throughout this globe and all the Multiverse. Bequeathed to you from time beginning, this potential of your individual energetic signature is coming on-line more and more as you allow the incoming energies to solidify and register within you. The Light that you emit now because of this is immense, and no doubt many of you are glimpsing it when your eyes are closed and even now when not. You see it and you feel it and the more you allow it to glow and grow, the more it will be apparent to all. We all certainly see it in these realms. It is a veritable glowing fairyland of light similar to a mass of fireflies as we view you all from On High. It is exquisite and beautiful, and I share this with you now because you need to know the impact of your growing and glowing Light Bodies – the impact of your developing crystalline structures. Allow yourselves now to intend more growth and more development of your Crystalline Bodies. The time is nigh to develop them more fully. And ask your guides to assist you in this. Ask all your celestial and galactic team to assist you in this. You are at the ready and you are merely to give the go-ahead for a deeper and more substantial development of your Crystalline Light Bodies. So I continue to hold you in my Heart as you go more through your transformation. As you surrender to it. As you revel in it. As you accept your transformation fully and completely with utmost Grace and Serenity. You are all my ambassadors of Peace and Love and you carry the torch for Freedom and Love and Peace for all, in the very transformation of your Beings filled with Love and Pure Crystalline Light. So carry on, my beautiful beloved children of Love and Light Everlasting. You are the World. You are the Multiverse. You are Love Eternal. 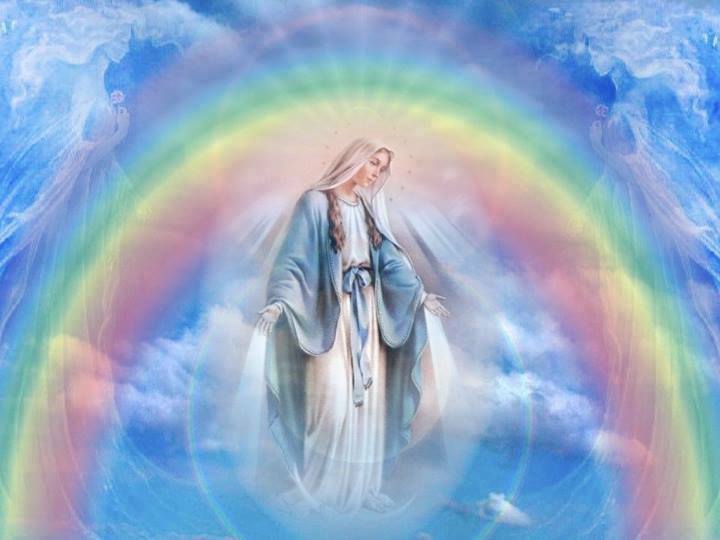 This entry was posted in Ascended Masters Messages, Fran's Channeled Messages, Mother Mary and tagged Ascension process, Celestial Realms, Channeled Message August 16 2014, Channeled Message August 17 2014, Crystalline Light Bodies, Energy Signature, Fran Zepeda, Grace and Compassion, Light Love and Peace, Love and Light Everlasting, Mother Mary, Spiritual Awakening and Transformation, You Are Love Eternal. Bookmark the permalink.